After a couple of consumers brewed up a bit of controversy with claims that Anheuser-Busch InBev has been watering down Budweiser, a former employee of the company says he’s being punished by the beermakers for taking part in whistle-blowing. AB InBev is now suing the former operations manager, who wants the judge to dismiss the lawsuit. The beer brouhaha has expanded to at least eight lawsuits against the company, accusing it of adding water to several of its brews, reports Bloomberg News. AB InBev filed suit against the former manager a week after the accusations of dilution were made public. In the lawsuit, the company alleges that the manager misappropriated trade secrets. But he says in papers filed in a federal court that the lawsuit should be dismissed under a California law that prohibits such lawsuits against public participation as a means of intimidation. The attorney on the side of the consumers says the complaints were based on information from former workers at a few of the company’s 13 U.S. breweries. The former operations manager worked at the company from 1998 until last June, when he resigned to become a lawyer. AB InBev has disputed the allegations of watery beer, and launched an ad campaign last week mocking the lawsuits. “We believe [the former employee] improperly used and misrepresented our confidential information to instigate these lawsuits, all for his personal gain,” Peter Kraemer, Anheuser-Busch’s vice president of brewing and supply, said in an e-mailed statement. 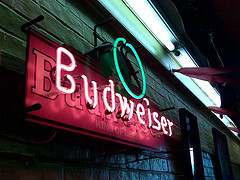 “The class-action lawsuits are groundless and the claims against Anheuser-Busch are completely false,” he said.